Manufacturer & Supplier of Stainless Steel 304H Pipe Flanges, SS 304H Slip on Flanges, Steel UNS S30409 Lap Joint Flanges, Stainless 304H Blind Flanges Exporter in India. Riding on unfathomable volumes of industrial expertise, Neon Alloys are largest manufacture & export wide range of stainless steel 304H flanges which is available for high end industrial requirements. Engineered with latest technologies these flanges exhibit the properties like high strength, high toughness, superior chemical resistance, excellent fatigue strength and high stress-corrosion cracking resistance. Stainless Steel 304H Flange are robust and their universal specification design ensures that these can be fit properly to any pipe or systems. 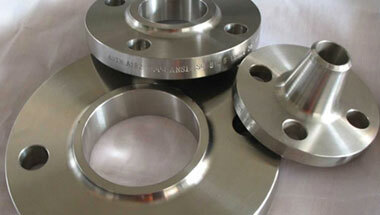 Moreover, we make these SS 304H Flanges using premium quality stainless steel and sophisticated technology. Also Clients can avail the entire range in various specifications that can be also easily customized as per the specific need of the client. Stainless Steel 304H Flanges Manufacturer, SS 304H Plate Flanges, Steel WNR 1.4301 DIN/ASME Pipe Flanges, SS UNS S30409 Socket weld Flanges Suppliers in India. Germany, Chine, Angola, Vietnam, Africa, New Zealand, Jordan, Thailand (Bangkok), Kuwait, Trinidad and Tobago, Kazakhstan, Canada, Argentina, Australia, Uganda, United States, Algeria, Sudan, Venezuela, Russia, Turkey, Malaysia, Saudi Arabia, UK, Democratic Republic of the Congo, Israel, Mozambique, Italy, Ethiopa, Cameroon, Peru, Mexico, Egypt, Colombia, London, Iraq, Nigeria, South Africa, UAE, Houston, Bahrain, Indonesia, Ghana, Iran, Brazil, Tunisia, Azerbaijan, Sri Lanka, Morocco, Dubai. Singapore, Cairo, Kaduna, Bulawayo, Cape Town, Casablanca, Antananarivo, Giza, Istanbul, Omdurman, New York, Dubai, Bamako, Aqaba, Tel Aviv, Beirut, Riyadh, Ibadan, Dakar, Ouagadougou, Byblos, Alexandria, Lusaka, Zaria, Addis Ababa, Khartoum, Freetown, Harare, Durban, Data from the UN, Manama, Kinshasa, Lagos, Lubumbashi, Algiers, Conakry, Abu Dhabi, Hong Kong, Kano, Accra, Muscat, Sharm el-Sheikh, Mecca, Maiduguri, Abidjan, Port Elizabeth, Brazzaville, Mogadishu, Colombo, Tehran, Subra al-Haymah, Johannesburg, Kampala, Bethlehem, Jerusalem, Fez, Pretoria, Jeddah, Benin, Dammam, Dar es Salaam, Soweto, Maputo, Amman, Mbuji-Mayi, Luanda, Yaoundé, Rabat, Port Harcourt, Douala, Cairo, Doha, Kolwezi, Nairobi, Tripoli.